Look at this lovely fairy ….. her name is Floating Floral Fairy and she is from Make it Crafty. Here is my finished card. I had such a blast coloring her and blending colors from one to another as you can see in the feet and the wings. I used flowers from Wild Orchid Crafts and I Am Roses. The butterflies are from Oriental Trading Co. I printed this cutie onto Make it Colour blending card and colored her with Copics. Oh wow this is just so delightful with beautiful pink and green colouring. Your coloring is absolutely fantastic! I love the floral and butterfly details you added. 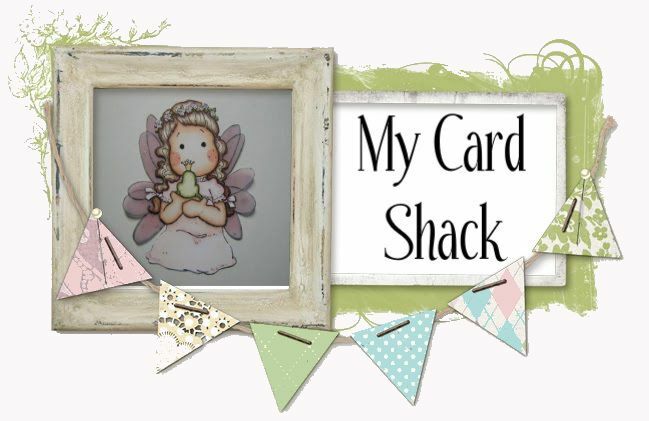 So glad you shared your creation at Savvy Handmade Cards. I love the greens/pinks together.. The different colors blending into each other is outstanding!!! You are 1 amazing colorer!!!! Very beautiful card.... those butterflies are adorable!!!! This is stunning, Stephanie! Your coloring is exquisite! Love it! What a lovely Springtime project, Stephanie. Beautiful image and floral embellishments. Thanks for sharing your talent with PolkaDoodles.